From Dr Martens Elate range, a traditional style womens casual shoe. The Lorrie womens shoe has dark brown leather uppers with minimal seams for a simple yet stylish look. Fastening the Dr Martens Lorrie are thin dark brown laces through a classic four-eye blind lace-up. A comfortable womens shoe with 'Softwair' in-sock technology giving support and stability combined with a gel heel pad to reduce shocks and bumps, the womens Lorrie is just perfect for women on the go all day and new for this season swapable winter fur effect and cool summer insoles. 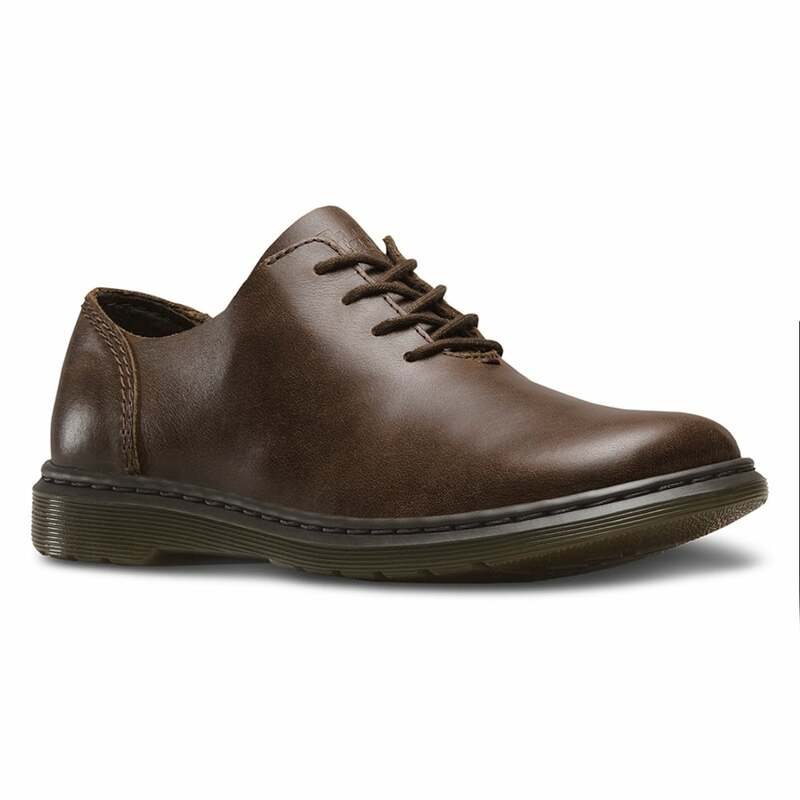 A great, everyday casual shoe, for those who value comfort, the Dr Martens Lorrie leather shoes could be just the addition to your wardrobe that you're looking for - get your pair today!